The Ship Inn - Bed And Breakfast Bed And Breakfast 65 Sandgate High St., Sandgate CT20 3AH. The Ship Inn - Bed And Breakfast, 65 Sandgate High St., Sandgate CT20 3AH. This strong community pub in the village of Sandgate offers accommodation in an adjacent early Victorian seafront cottage. 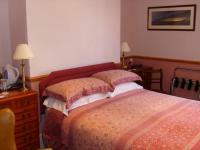 The 6 available rooms are all furnished and decorated to a luxurious standard, with en suite facilities. The cottage at The Ship Inn is south facing and located on the seafront, with 2 of the rooms offering outstanding sea views - on a clear day, the views of France are particularly special. Only a 5-minute drive from the Channel Tunnel and 16 minutes from the port of Dover, The Ship Inn is known for the quality and range of real ales, as well as its home cooked food. It has been run by the same licensee for the past 24 years. Hotels in Sandgate: The Ship Inn - Bed And Breakfast, 65 Sandgate High St., Sandgate CT20 3AH. Hotels in Sandgate, B & B's, Serviced Apartments, Accommodation in Sandgate with last minute deals and late room discounts.